National, February 6th, 2017: The United Basketball Alliance (UBA) announced the fourth season of the pro basketball league set to commence from the 16th of February, through the 1st of March, 2017 at the Satyabhama University, Chennai, later moving into the semi-finals and Championship series in Goa from the 10th to 16th of March. The league is structured as eight teams play a regular season during competing to qualify for the playoffs. Season 4 is set to be the most competitive and exciting season to date. The teams are divided into two divisions and feature some of the country’s finest players: The Mumbai Challengers, Delhi Capitals, Haryana Gold and Punjab Steelers form the North Division, and the Chennai Slam, Pune Peshwas, Bengaluru Beast and Hyderabad Sky make up the South Division. 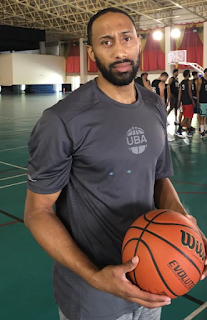 An exciting new addition to the game this season is the introduction of ten international professionals from the US to join current UBA players and teams. Following the successful completion of the league's second Pro Performance Camp in Phoenix during December 2016, a group of 15 elite UBA players joined the American players and together, underwent various team-building exercises, working on fundamentals, dribbling, defense techniques and shooting drills. The international players will step into the UBA spotlight for the first time this February. 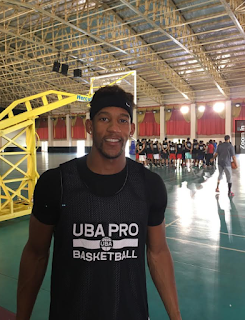 At least one international American player will be added on each UBA team, creating stronger competition, performance and a unique experience for the fans of basketball across India. The most experienced American player coming to India to play in UBA Season 4 is Alex Scales, who played with the NBA’s San Antonio Spurs. Scales was a star at the University of Oregon in the NCAA before launching his pro career which includes two different NBA D-League teams and professional teams around the world in 11 different countries. Another player joining Scales is an American player of Indian origin, Chris Solomon who played college ball in Florida at Northwood University, then professionally in Italy and Mexico. The inclusion of these two stars is sure to raise the level and pace of the game. Other American players include Ron March, Pierre Newton, Tevin Kelly, Mak Boskailo, De'Sean Mattox, Jimmy Scroggins, Brendan Pineda-Morales and Dermaine Crockrell. The previous seasons of the United Basketball Alliance were held in Hyderabad and Pune. Catch all the action LIVE for the 4th Season on the Ten Sports network channels - Ten 1 HD & Ten 3 from 16th February- 16th March 2017 from Chennai and Goa.